When taking care of an elderly loved one, it's imperative that family members work cooperatively. The more people participating in care, the less alone a family caregiver feels in this daunting role. The best way to do this is a family meeting, but just how should you go about it? That all depends on your version of family. Every family is different, but, when planning a family meeting, it is important to include everyone who is or will be part of the caregiving team. It might also be helpful to engage the help of an outside facilitator, such as a social worker, to help the family communicate about difficult subjects, and even help come up with a plan of care. You must also decide if you will include the family member that is being provided care. 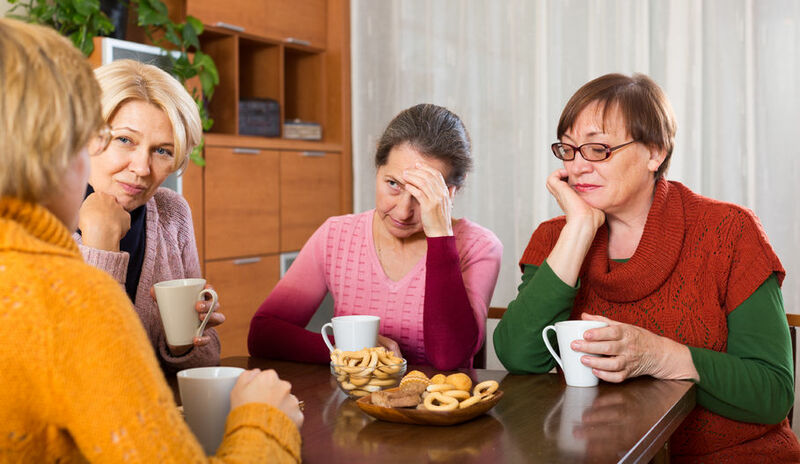 Their preferences for care must be considered, but, if they have dementia or another condition where they might misunderstand the purpose of the meeting, it could be appropriate to hold at least the first meeting without them present. Plus, your caregiving team may need to share thoughts or feelings that would be painful for the ill person to hear. Consider holding one meeting to focus on those difficult matters, and holding a second meeting with them present. Clear communication is the key to working successfully with a group of people. Plan ahead for those family members that may not be able to attend the meeting. Several apps like Skype® and FaceTime® can help keep them in the conversation even though they can't be in the room. Prior to a meeting, you will need to prepare an agenda and send it out to family members ahead of time. An agenda will help you keep the meeting on track and even give introverted family members more time to think about what they want to add to the meeting. It will probably be difficult to cover all the issues in one meeting, so plan to have additional meetings. Make sure that meeting has a clear timetable and a definite beginning and ending time, and stick to it! If meetings get to be too long, fatigue sets in, minds will wander, and people may resist future meetings, or worse yet tempers may flare. In coming posts we will talk a little more in-depth about the meeting itself, including challenges and creating win/win situations.